Organized set of activities designed to ensure ongoing assessment of important aspects of patient care, the correction of identified problems, and follow-up activities to verify that corrected problems have not reoccurred. A term first coined in the private sector, when corporations began looking at ways to streamline and improve processes and systems. The most well-known example of quality improvement methodology is the “Six Sigma” method of change, developed by engineers at Motorola. 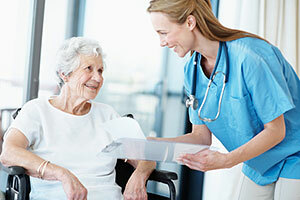 In the health care context, the goal of quality improvement strategies is for patients to receive the appropriate care at the appropriate time and place with the appropriate mix of information and supporting resources. In many cases, health care systems are designed in such a way as to be overly cumbersome, fragmented, and indifferent to patients’ needs. Quality improvement tools range from those that simply make recommendations but leave decision-making largely in the hands of individual physicians (e.g., practice guidelines) to those that prescribe patterns of care (e.g., critical pathways). Typically, quality improvement efforts are strongly rooted in evidence-based procedures and rely extensively on data collected about processes and outcomes. An agreed-upon process or outcome measure that is used to determine the level of quality achieved. A measurable variable (or characteristic) that can be used to determine the degree of adherence to a standard or achievement of quality goals. Mechanisms used to assign a quantity to quality of care by comparison to a criterion.